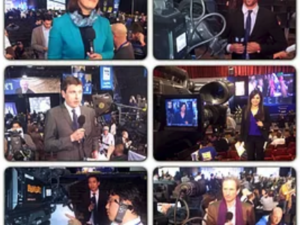 Offering everything from pre-production planning through to original content development, leading-edge video production and streaming, live TV broadcasts and award-winning post-production. 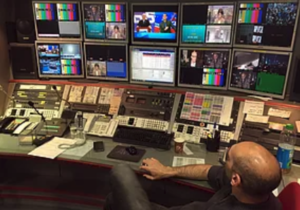 ​World-class technical expertise including the ability to broadcast large quantities of material around the world at short notice. One-stop shopping for all your technical and logistical needs from the minute you arrive through to uplinking the finished article to your home base. Flexibility even when your needs change at the last minute, we're experts at juggling to meeting tight deadlines. 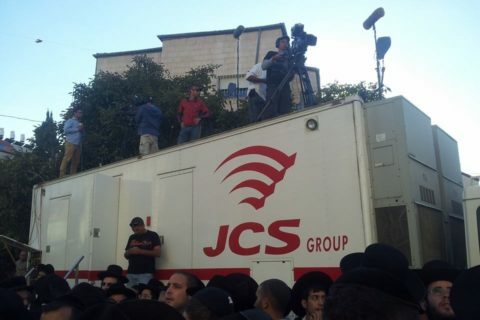 JCS offers its clients satellite uplinking and downlinking services under a special license granted by the Israel Ministry of Communications and transmission facilities utilizing the latest fiber optic technologies utilizing multiple broadband technologies. 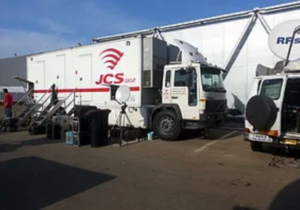 With over 30 years experience in high quality content production from news report, daily magazines, TV series and feature films, live televised satellite events ; JCS stands at the front of the content production arena, providing it's customer state of the art facilities, manpower and creative.